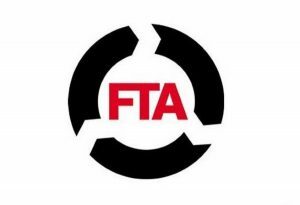 The Freight Transport Association (FTA) has claimed urgent action is now needed to address issues faced by the UK's logistics providers and other road users when traversing the M4 in south Wales. Responding to a public inquiry that has now been set up surrounding proposals for the redevelopment of the M4 around Newport, FTA head of policy for Wales Ian Gallagher said this remains an "internationally important" section of the transport network due to the volume of goods that are delivered via this busy route each year. As a result, the FTA has welcomed the fact that an inquiry will now help to spur on development of much-needed improvements for the carriageway, but the organisation also noted that the process could be held up by further delays if this inquiry is not managed effectively, given the urgency that is required. "[We have] already contacted the Welsh government with the message that a quick decision based on the national importance of the route is vital," he stated. "The M4 provides an important lifeline to businesses across south Wales and should not be considered solely as a local issue." However, Mr Gallagher concluded that this is extremely positive news to see action finally be taken on what is an issue that has dogged hauliers and travellers in the area for many years.